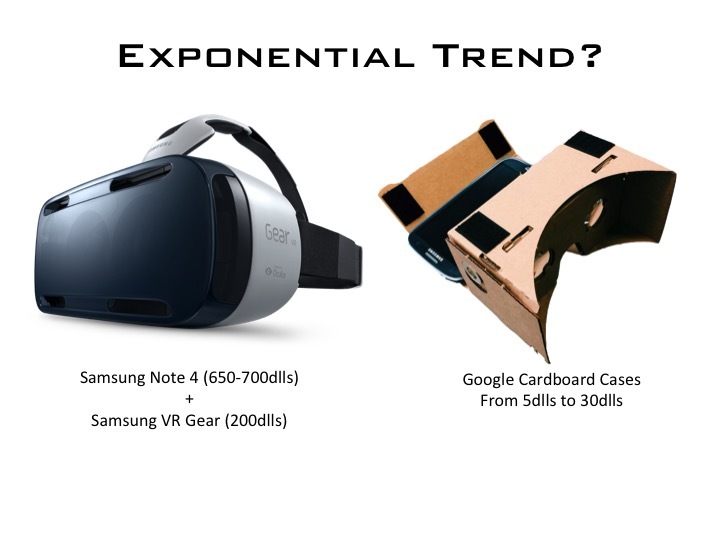 Virtual Reality is picking up tremendous speed and it is easy to see why. It’s potential is tremendous. 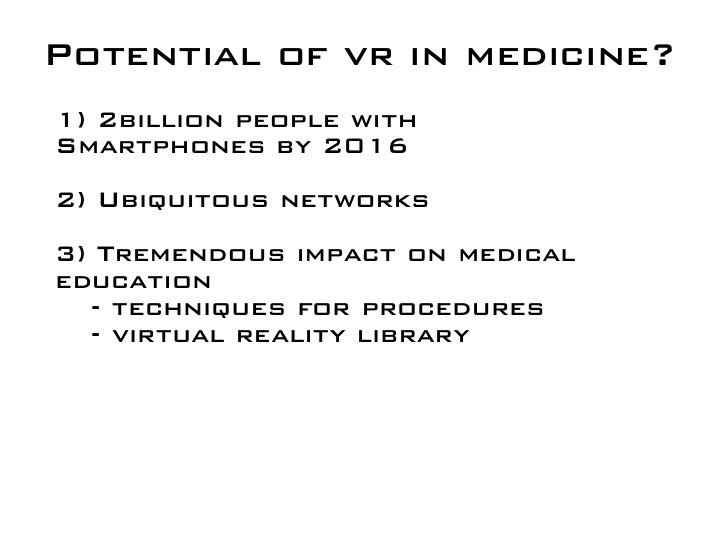 In the following slides you will see once again the exponential trend in technology and its implementation impact on different fields. 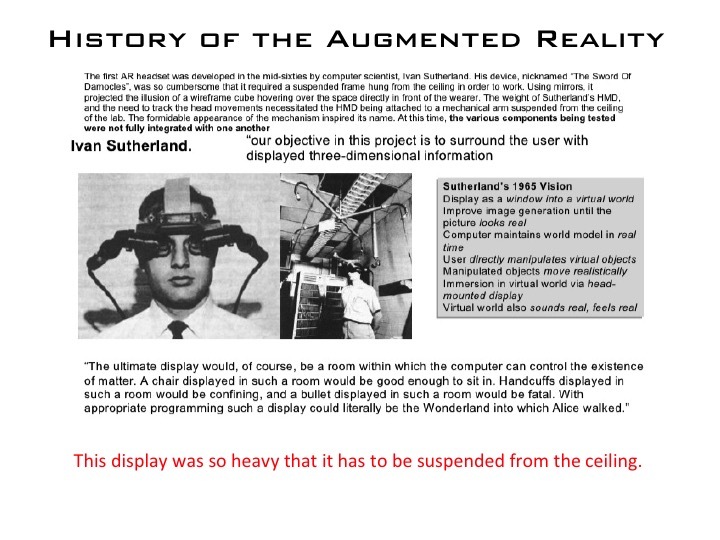 From a device created by Ivan Sutherland in 1965, which was so heavy that it needed to be attached to the ceiling to the Oculus Rift prototype created in a garage by Palmer Luckey (18) who then sold it for 2 billion dollars to Facebook. 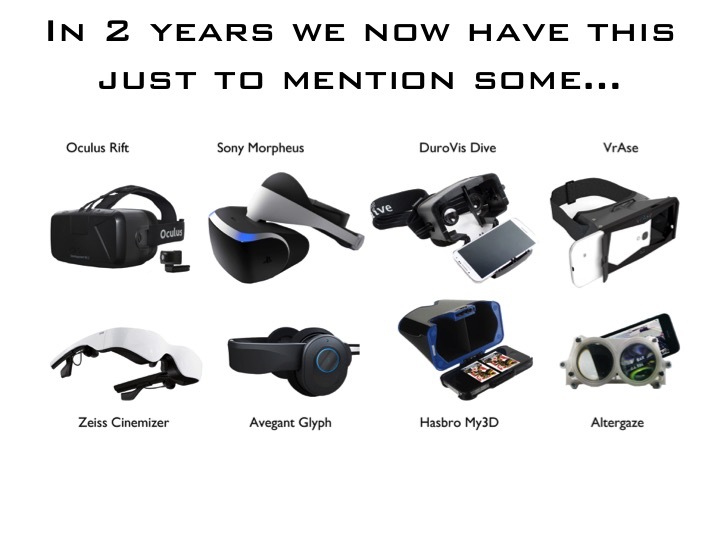 Observe the number of devices created, in addition, they are now being incorporated to brain computer interfaces. This opens a whole new field for research potential, medical education, and therapeutic treatments. Imagine what this could do in a nursing home, cardiac rehabilitation? 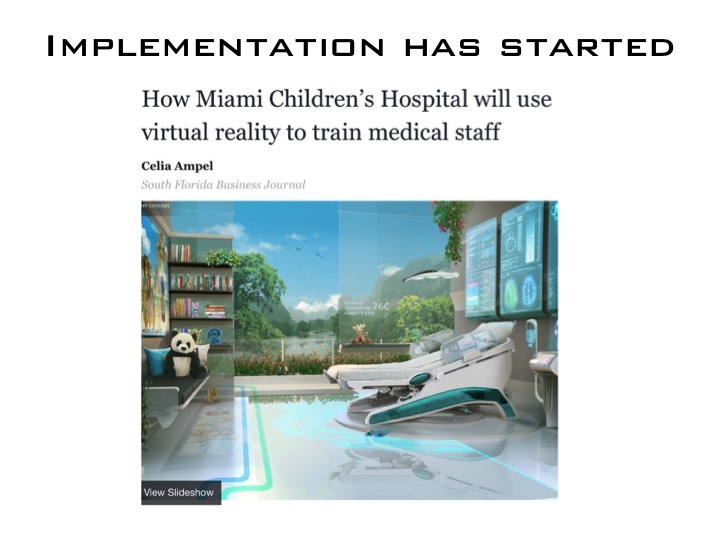 Virtually Teleporting patients to a beach, museum, or the rehab center? The speed in which this and other technologies get incorporated into our profession is directly proportional to the number of individuals trying to do so. 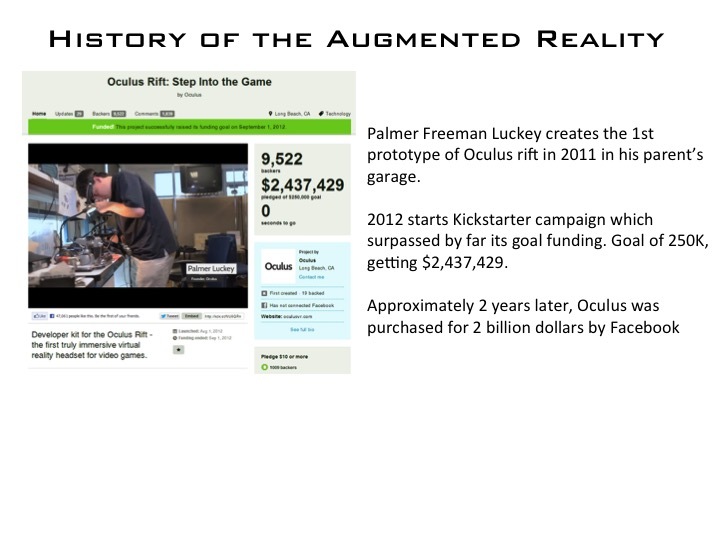 One of the beauty’s of VR is that anyone can experiment with it if they so please for 5-30dlls. Just get google cardboard and download the app to your android phone and see what the big fuzz is about. Got an iphone? No worries, this technology is soon to arrive to iOS also. Apple plans here, seems it will be available in the iPhone 6s. I am currently working on interesting projects that I will mention later, but I wanted to create a small introduction since I have been getting a lot of questions!